UK – In addition to enjoying a crazy touring and festival work schedule of this summer, London-based lighting and video rental specialist Colour Sound Experiment supplied LED screens and processing to the recent UK leg of the Manic Street Preachers “Resistance is Futile” tour. The 5mm Roe LED on the tour was part of a massive investment by the company, totalling over £1 million in new LED screen earlier in the year. 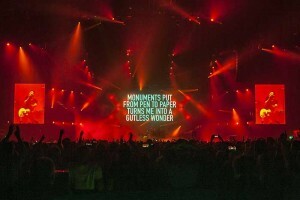 This purchase added 230 square metres of LED to Colour Sound’s existing extensive screen stock which means they can offer a variety of pitches for all occasions, including 2.6mm, 6mm, 7mm 12mm, 20mm and 30mm as well as the new 5mm. 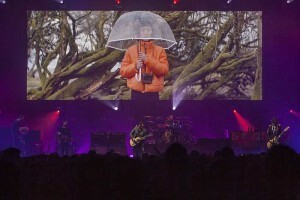 The screen was specified onto the Manic’s tour by Toby Vogel who co-ordinates and manages all video for the band on the road. Toby also enjoyed working with Jo Beirne again, who has recently joined Colour Sound’s lively and energetic project management team, bringing serious experience from the world of touring video. The Manic’s creative director is BAFTA Award-winning film director and screenwriter Kieran Evans. 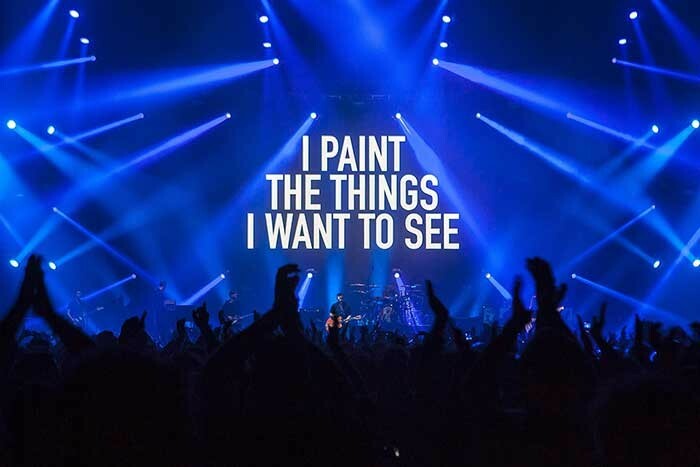 He produces all their show video content, adding a visual context which is absolutely fundamental to the gigs. 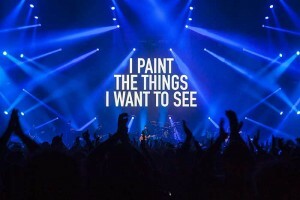 This is the third tour for Toby after Kieran originally asked him on-board in 2014 to run their live show video under his direction. Toby provided all the front end control and media servers himself, comprising Mac Pro towers running Resolume software and Blackmagic capture devices together with a Robocam system. He worked from FOH and output everything to screen, including a raw and stark IMAG camera mix that was at the essence of the aesthetic, cut by Phil Woodhead backstage in video world. One operated camera was positioned at FOH, fitted with a long-throw lens, with two more in the pit on a track-and-dolly system, and these were augmented with two Panasonic AW-HE60 and three AW-HE2 Robocams. The Manics have long been known for their innovative live show video, and a 14.4m wide by 4.2m high screen upstage brought an epic widescreen impression to the space, supported by two side IMAG surfaces each measuring 3.6m wide by 4.8m high. All of these were made out of the Roe 5mm. The content is a mix of skilfully crafted narrative footage and ambient textures and effects with a lot of text and song lyrics which really popped out with a high impact 3D quality, reinforcing the bands uncompromisingly cerebral approach to musical story-telling. 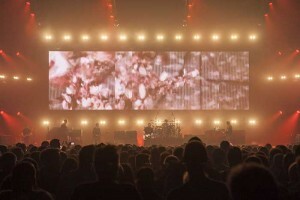 Video ran for the majority of the set and was complemented stylishly with Colin Ross’s lighting, which made the most of the spaces around and in-between the screen elements.